Sub:- Anomalies in the Pay Fixation in respect of LDC/UDC categories of 6th CPC (MACP) Scheme. We the undersigned employees belonging to the post of LDC/UDC are working in Farakka Barrage Project, under your kind control as well as under Govt. of India, Ministry of Water Resources beg to lay the following facts for your kind consideration and necessary appropriate action please. 01. That, most of us have joined in Govt. Service between 01-09-1984 prior to 1990 as LDC category, then our Pay Scale was Rs. 260-400/- as per 3rd CPC later on as per 4th CPC w.e.f. 01-01-1986 the Pay Scale was Rs. 950-1500/- and gradually promotional post was UDC / Head Clerk or Assistant respectively and the Pay Scale of UDC was Rs. 4000-6000/- and the Scale of Head Clerk was Rs. 5000-8000/- (Copy of Fixation of Pay or pre-revised and Revised are enclosed for ready reference). 02. The Financial Up-gradation under ACP Scheme was initially introduce in year 1999 i.e. on 09-08-1999 and as per this Scheme a Govt. servant (LDC in the instant case) with 12 years of regular service in the same post, Financial up-gradation to the next Scale of Pay Rs. 4000-6000/- in the same way the 2nd Up-gradation to the Scale of Pay Rs. 5000-8000/- was admissible after 24 years of regular service. There was no further Up-gradation in the ACP Scheme. 03. Consequent upon the recommendation of the 6th CPC and acceptance of GOI, DOPT was pleased to issue MACP Scheme vide OM NO. dated 19-05-2009 in which it was clearly indicated that the MACP Scheme will take prospective effect from 01-09-2008. It was also clearly mentioned in the OM that this order is issued in supersession of all previous orders i.e. ACP Scheme. In the OM a schedule regarding placement from one PB/GP to other upgraded PB/GP has been indicated in the Section-I, Part – A of the First Schedule of the CCS (Revised Pay) Rules 2008. From the above it is evident that in the PB-1, 5200-20200 having GP Rs. 2400/- and the same PB-1 having GP Rs. 2800/- bears same and identical scale of pay, therefore placement from GP Rs. 2400/- in Pay Band 1 to GP Rs. 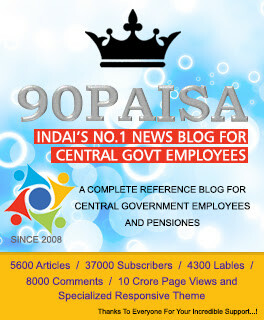 2800/- in same Pay Band-1, can not be termed as promotional/up-gradational benefit. Thus granting of GP Rs.2800/- in same PB i.e. PB-1 is a cause of utter deprivation upon us from having our legitimate and lawful payments i.e. we instead of getting GP of Rs.4200/- in PB-2 is presently getting GP of Rs. 2800/- in PB-1. Therefore, we the petitioners are fervently request you to kindly process the case immediately for solving the utter discrimination caused upon us. Hence we pray before your goodself to kindly unfurl the banner of Justice and save us from the financial crunch we are facing for.